If you thought homestays were limited to foreign lands, think again! With the saying of ‘Atithi Devo Bhava’ running in India from ancient times, the concept of Indian homestays has been with us forever. But in the last few years, the homestays have grown from strength to strength in India, and hospitable families have offered accommodations at modest prices. While most of the cities in India have magnificent homestays, there are a few that stand out in terms of properties, facilities and locations. Here, we are going to talk about the prominent cities that you must visit for a unique, yet homely stay experience. Nainital, the city of lakes is soon emerging as the city of homestays in India. With royal residences, cosy cottages and charming villas, staying at homestays in Nainital is anything but ordinary. These inspiring escapes encourage us to travel to Nainital and experience an alternative retreat at a hoilday home. Apart from a unique stay experience, homestays also allow guests to take a peek into their local culture and get a taste of the authentic delicacies, served fresh from the host’s kitchen. Who doesn’t love a Himalayan getaway? We do and we’re sure you do too. The idea of sitting on a front porch of a wooden cottage and sipping a cup of tea while birds are chirping in their natural habitat, does seem like a dream. But thanks to the host families in Manali, they’ve opened up their beautiful bungalows, farm stays and luxury homes to welcome guests from across the globe. Manali homestays are ideal for those looking for a holiday amidst mesmerising hills, lush valleys and chilled mountain air. It is said that there is magic in Shimla’s air. With snow covered mountains, breathtaking lakes and pleasant climate throughout the year, we’re sure there’s a lot of magic in Shimla. This popular hill town is always buzzing with a happy flow of Indian vacationers. If you too wish to join the pack of happy tourists, consider staying at one of the homestays in Shimla, and witness the mesmeric beauty and warm hospitality of the locals. A Goan holiday always come as a treat, even for the non-travellers. And we, being a traveller cannot miss a chance to escape to the magical land stretching along the Arabian Sea. In fact, a chance to stay at a lovely Goan house sitting in lush tropical gardens in a quiet hamlet is more than one can ask for. 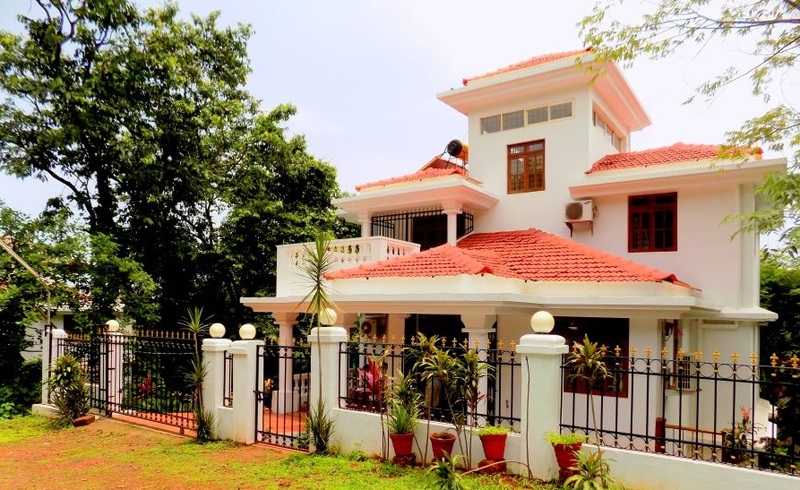 The homestays in Goa give us an opportunity of living with a local family, yet having our own privacy and a level of comfort afforded by the top-notch hotels. Wake up to misty mornings and get lost in the glory of picturesque views at the cosy holiday homes in Lonavala. Tucked in the lap of nature, the homestays in Lonavala are the best pick if you are looking for a laid-back retreat in Maharashtra. Come here to experience the best of local hospitality, traditions and cuisine. Are you fancying a trip to Darjeeling? Well, we don’t doubt your intentions for Darjeeling is the best introduction to the North Eastern Himalayas. Visit the tea gardens… Actually not just visit, plan to stay in the tea gardens. The tea estates in Darjeeling have designed beautiful homestays, and you can choose to stay in a British Era Colonial mansion or a budget lodge. An enchanting picturesque destination located in the heart of Himalayan mountain ranges, Gangtok is surrounded by beautiful scenery at every step. Along with keeping you close to nature, this magical hill town will make you feel at home with its luxurious homestays. The vacation rentals developed in Gangtok are blended well with the Colonial architecture, thus winning a lot of accolades for their marvelous ambience and service. The silvery waves of the Arabian Sea, the palm fringed canals, picture book lakesides and long sandy beaches invite travellers to Alleppey. This gorgeous city in Kerala gives a unique opportunity to stay with an ordinary Malayali family and discover their cultural mosaic. So visit Alleppey, stay with the locals, imitate their daily routine and enjoy the authentic home cooked food. Referred as the Scotland of India, Coorg is one such place that needs no introduction. It is gifted with emerald murals and acres of farms with coffee and spice plantation. If you are striving the authentic local flavour and local culture, think no more and head to the homestays in Coorg. The holiday homes are the unique and natural ways to explore and encounter the spiritedness and charm of this mesmerising town. Choose to stay at a cottage, villa, guest house or a farm house and make the most of your holidays. Visit Wayanad and take in the mind blowing views of the magnificent stretches of water, or indulge in exploring the evergreen forests. This gorgeous town in the state of Kerala has a lot to offer when it comes to providing comfort and relaxation to the visitors. One of the most exquisite ways to attain solace in Wayanad is by choosing to stay at homestays. With the most heart warming hospitality, homely ambience and picturesque views, Wayanad homestay will cater to the needs and requirements of a splendid holiday.